This week has been really exciting. As an intern I got to attend my first internship class. I also got to attend my first rec meeting. The rec meetings are for every Nordstrom in our region to come together to talk about how the region is doing, announce any changes, and also praise employees who have been working hard. The rec meeting was a lot of fun with music, a few games, and also Erik Nordstrom was a guest speaker! Erik is one of the three Nordstrom brothers, and he is the president of all full line stores. During the rec meeting Erik mainly talked about new things that were happening and how the company is trying to evolve more to assist customers in every way. He showed a video on new apps that are in the process, as well as, new technologies that will be very useful. Another topic that Erik touched on was customer service. He read allowed some emails that he had received from customers and just continued with the fact that doing the best we can for our customers really pays off in the end. After the rec meeting all the interns in the region got to have a question and answer meeting with Erik. It was a really good experience to hear his insights about Nordstrom, and what it was like for him working his way to the bottom (remember inverted pyramid). 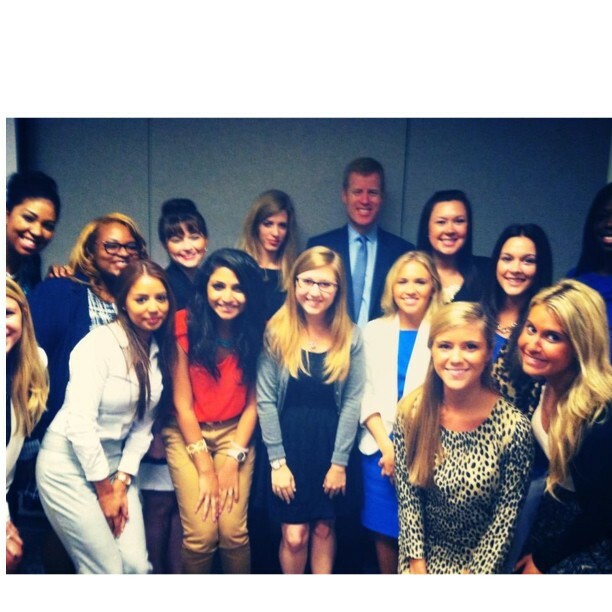 All of the interns had lots of questions, but mainly the questions were focused on Nordstrom heading to Canada, and how pricing and everything is going to play out. Erik was very helpful in answering our questions and giving us more knowledge about the company. I really enjoyed meeting him and hearing his story. Nordstrom offers the customers to use plenty of benefits for enjoying shopping. then, please, check this post detailing about Nordstrom Card Activation at nordstromcard.com/activate.